The Wyoming coaching staff finds themselves down to their last handful of open scholarships in the 2016 recruiting class after picking up five new verbal commitments the last two weeks. One of those five has since signed his letter of intent with the Cowboys and will be joining the team next semester. The five new additions are 6’3″, 190-pound safety Josh Boyd out of Bakersfield (CA) Porterville, 5’10”, 175-pound cornerback Tyler Hall out of Gardena (CA) Junipero Serra, 5’11”, 185-pound cornerback Rico Gafford out Council Bluffs (IA) Iowa Western Community College, 6’4″, 210-pound tight end Samuel Maughan out of Oregon City (OR) and lastly the newest verbal in 6’4″, 280-pound defensive tackle Shemarr Robinson out of Tulsa (OK) Central. Gafford being a mid-year junior college prospect has already signed his letter of intent with the Cowboys. 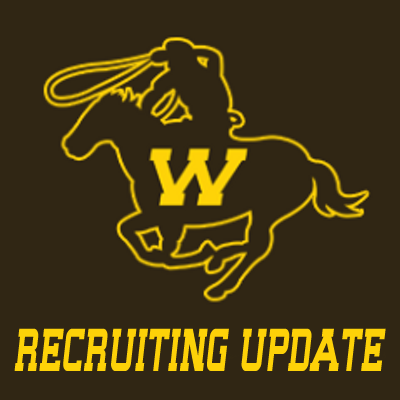 Coach Craig Bohl’s staff has shown great success in getting commitments from two states so far in Oklahoma and Colorado. The Cowboys have now landed five verbals from the State of Oklahoma after signing four from the Sooner State last class. They have four verbals out of Colorado and signed three in the 2015 class. This 2016 recruiting class has also shown to be heavy on the defensive side of the ball and also a heavy emphasis on both sides of the trenches. With the class reaching 20 current commits, the Cowboys are looking to close out with at least five more verbals before signing day.